Jennell advises clients on a wide range of intellectual property and business matters, with a focus on patent, trade secret, trademark, and pharmacy law matters. A pharmacist and co-founder of a drug benefits consulting company prior to joining Carlson Caspers, Jennell blends her scientific, industry, and legal knowledge to help clients achieve favorable business outcomes. Among recent matters, Jennell served as trial counsel for Teva Pharmaceuticals in a patent infringement lawsuit involving Namenda XR®. She was also part of the core team that helped Teva Pharmaceuticals invalidate several patents listed in the Orange Book for OxyContin® through two bench trials and appeal to the Court of Appeals for the Federal Circuit. 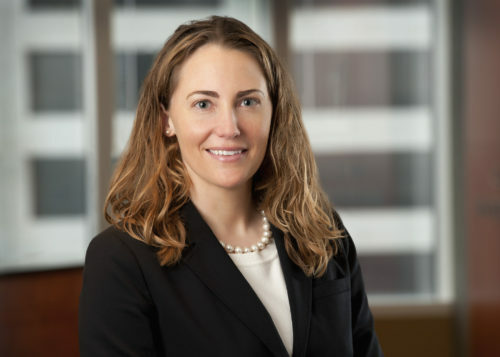 Her experience includes all aspects of complex federal litigation, including pre-filing investigations, discovery, motion practice, Markman hearings, pre-trial and trial practice, and appellate advocacy. She has also been involved with Inter Partes reviews before the USPTO. Jennell counsels clients in a variety of technological fields, including products and services used for prophylaxis, treatment, diagnosis, rehabilitation and monitoring of medical conditions, bio-agriculture, pharmacy, and the mechanical arts.